Today we got up thinking about rain, more specifically about umbrellas. 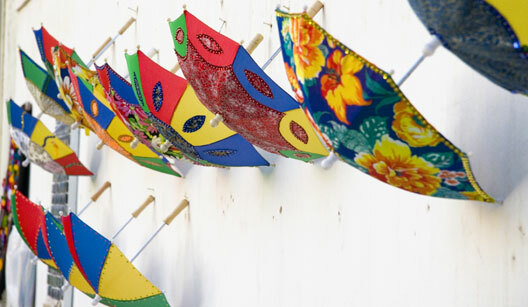 Umbrellas are actually one of the most recognizable elements of craft from the northeastern state of Pernambuco. 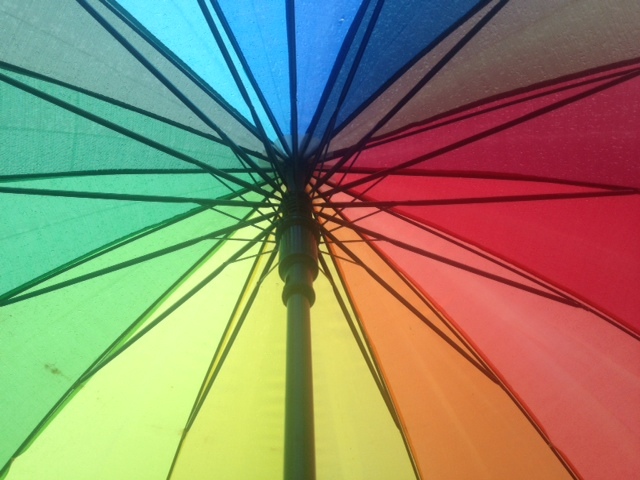 But you might be wondering – why on Earth are they thinking and writing about umbrellas – because we don’t associate Brazil with rain, only sunshine, right? Well, kind of. 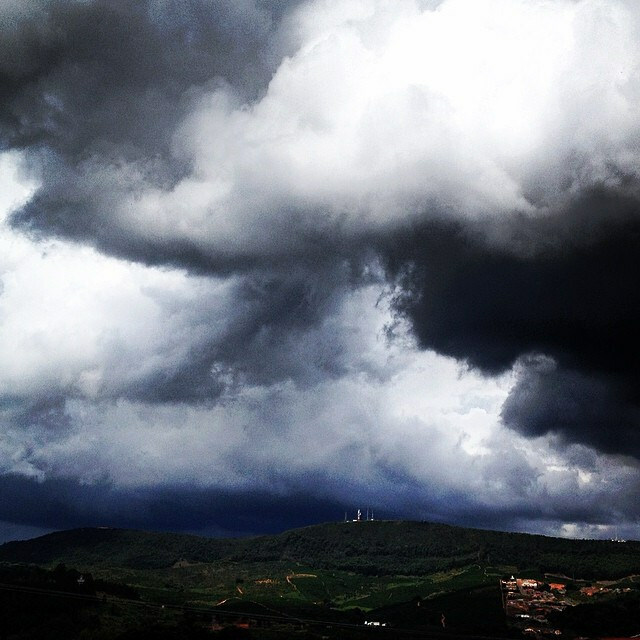 It has actually been a very dry winter down south, in the state of São Paulo – in had been nearly two months since it rained here in the mountains. But today, we woke up to the gentle sound of raindrops. Then finally…the much-needed rain started to pour down. OK, that’s a long enough preamble! 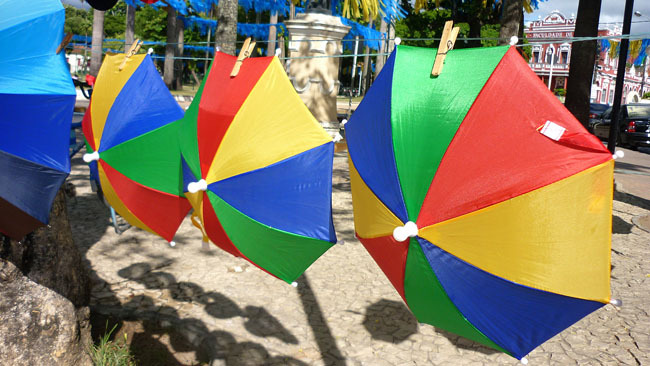 Back to the colorful umbrellas of the Brazilian northeast. 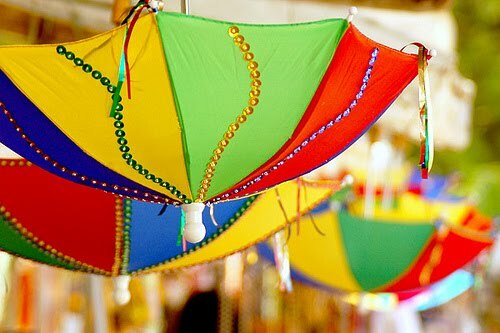 The umbrellas in the primary colors of blue, red, green and yellow, almost omnipresent in Pernambuco in handmade items and souvenirs, come from its presence in the northeastern state’s trademark dance, frevo. 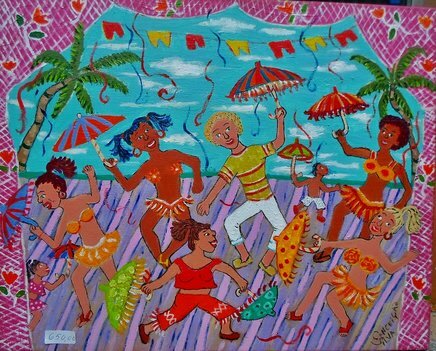 This dance is synonymous with carnival in Recife, capital of the state. 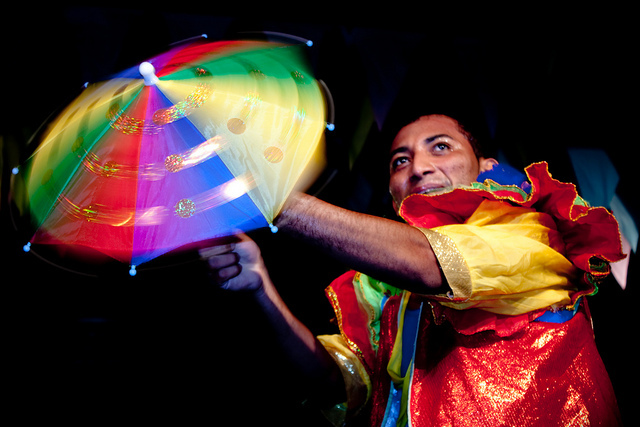 Frevo is a hectic, impetuous rhythm, where the many participants, dressed in typical costumes and stir colorful umbrellas in the air while they perform this very individual choreography, made unique by a fantastically agile footwork. 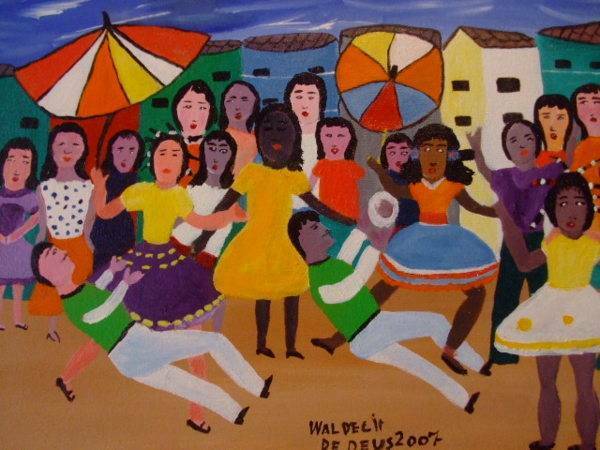 The brollies seen by the Pernambuco frevo dance are said to be associated to the capoeira, a mix of martial art and dance introduced by African slaves. 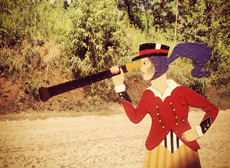 As well as their moves, the slaves used wooden sticks and old umbrellas as weapons when fighting rival groups. 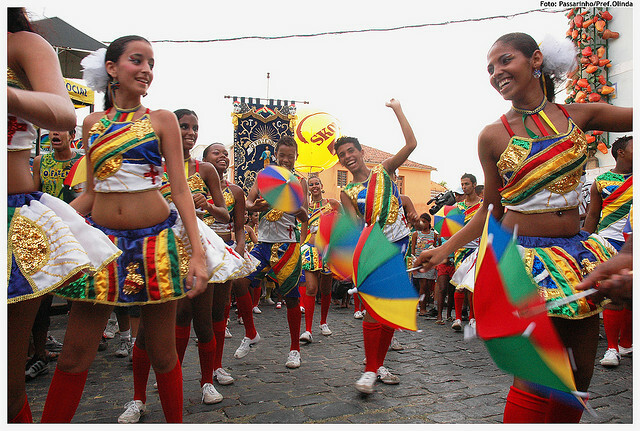 It was not until after the Pernambucan Revolt – one of the many movements that started in Brazil during the Colonial era that sought to establish an independent government in Brazil and led to the independence of the state in 1817 – that the frevo dance was introduced as part of a wave of nationalism. 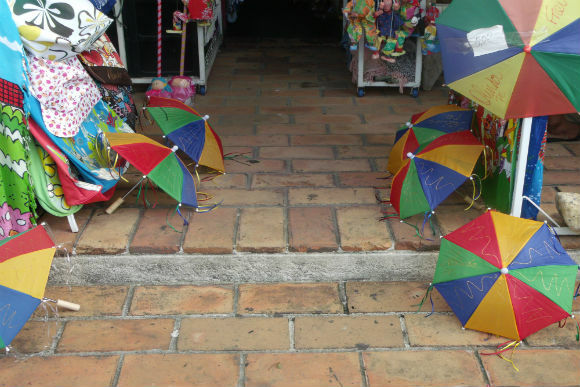 The umbrellas represent the need for independence and the armed struggle that took place during the insurrection of Pernambuco and remained a part of artisan traditions and culture of the northeastern state. 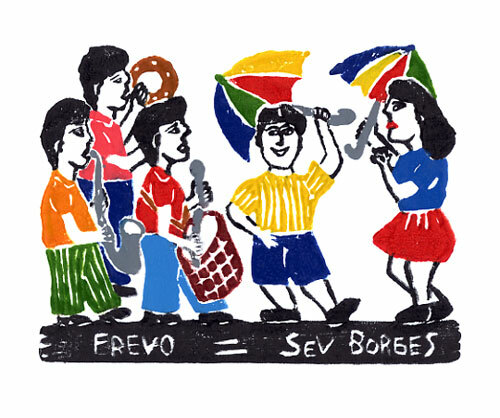 Frevo, by Caio Bruno | Frevo dancers, by Prefeitura de Olinda | “Frevo” painting, by Conceição Silva | “Frevo dancers” painting, by Waldecir de Deus | Frevo xylography by Severino Borges | Brollies on Olinda street by Social1 | Sombrinhas de frevo by Valdecasas | All other images by Gift Brazil.